Download our BBAC Lodgement Checklist for details on information required for submitting a Building Application. Upon submission of a building application, our Private Certifiers assess documentation against the National Construction Code, the Queensland Development Code, and local Council Town Planning and Infrastructure requirements. In some instances, proposed building work may trigger additional applications with local Council; common applications may include Building Over Sewer/Stormwater, Boundary Relaxation or Town Planning. With all requirements satisfied, your Building Approvals are granted. 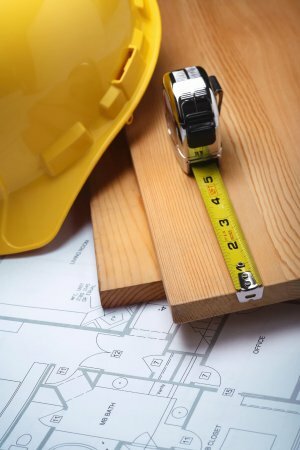 Prior to issuing your Building Approval, the Builder is to submit to BBAC a copy of the Builder Insurance Receipt issued by Queensland Building Construction Commission (QBCC). If the construction cost is greater than $80,000, owner/builder is to submit to BBAC a copy of the Q-Leave (Or Portable Long Service Leave Levy) receipt issued by Q-Leave. This can also be arranged and purchased from any Australia Post Office. Upon submitting the above mentioned receipts, and with your fees paid to BBAC, your Building Approval documents can be issued and construction work can commence. Inspections are mandatory during the construction stage for the approval of Buildiing Application. This is to ensure all building work carrried is in accordance with current building standards. Four mandatory inspections required include Footing, Slab, Frame & Final. Inspections can be carried out by a Registered Structural Engineer (appointed by the owner/builder), a Land Surveyor or a Private Certifier. Our practice is for the Engineer to carry out the footing, slab and frame inspections with our Private Certifiers completing a site establishment inspection at the footings stage and the final insepctions at the completion of construction. Following final inspection, submission of all building certificates is required. Your builder, subcontractors and suppliers are responsible for supplying the relevant building certificates (Form 15 / Form 16). Upon passing of the final inspection and submission of all certificates (Form 15 / Form 16), our Private Certifiers can then issue your Final Certificate (Form 21). PLEASE NOTE: This is to be used as a simplified guide only. Details on the process vary with the the complexity of the application.